Even queens need someplace safe to stash their jewels. 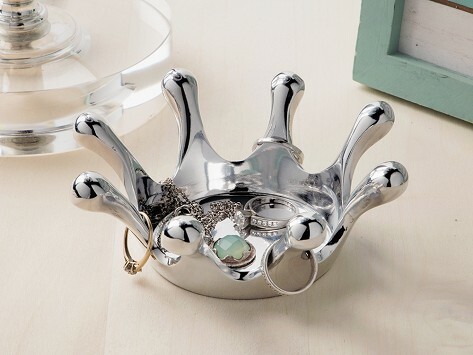 This crown-shaped metal catch-all is the perfect place to deposit jewelry, or even odds and ends like hair ties or loose change. 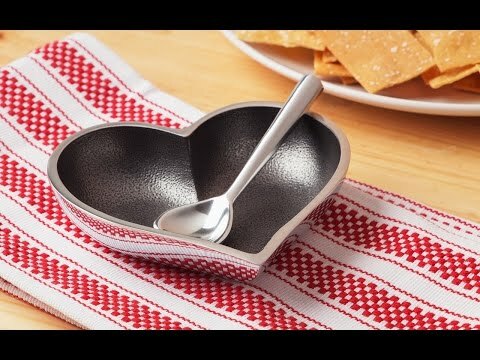 Handcrafted from aluminum, each dish is sand-cast and hand-polished to shine, while serving as a piece of whimsical home décor, too. Excellent, and very useful for storing her rings Sge hloves it.